As if you needed another reason to support the availability of legal marijuana, here’s another one: Legal marijuana means there are fewer reports of public health problems associated with prescription opioid use. A new study published recently in the journal Health Affairs reveals that in states where medical marijuana is legal, it serves as an alternative to other more dangerous drugs – namely, opiates. That means the number of reported opioid prescriptions, addictions and deaths are markedly down in those states. Researchers analyzed data gleaned from Medicare Part D enrollees over the course of four years, from 2010 to 2013. First, they discovered that in states where medical marijuana was a legitimate option for patients, the Medicare programs spent an estimated $165 million less annually than in states where medical marijuana was not an option. That’s in large part due to the fact that in states where medicinal marijuana is available, patients and doctors were choosing it as an alternative. An average of 1,826 fewer doses of prescription painkillers were noted in these locations. As of right now, there are 24 states plus the District of Columbia that have passed laws permitting medical marijuana – California being the first in 1996. Not all of those laws have fully been implemented, but they are on track for it. Many others are considering the move and more still are weighing whether to join the ranks of the four that have approved marijuana for recreational purposes. This phenomenon also sheds light on why drug manufacturers lobby so hard to limit the use of medical marijuana. The fact is: Medical marijuana may be great for patients, but it undercuts the drug companies’ profits. Meanwhile, the researchers discovered that not only is medical marijuana good for patients, it’s great for taxpayers as well. Further, there is evidence to suggest that marijuana could be used to help treat painkiller and heroin addiction. 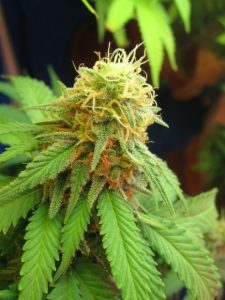 Although research on medical marijuana is scant (you can thank that stubborn Schedule I narcotic label for that), there is anecdotal evidence to suggest it could help with withdrawals. One example given by CBS News was a woman who suffered a years-long addiction to painkillers and decided she had to quit. She decided to do so cold turkey. It was agonizing. The withdrawal symptoms were paralyzing. Then, a friend gave her marijuana, which had been legalized in her home state of Maine. Not only did medical marijuana help keep her chronic pain under control, she also hasn’t gone back to prescription painkillers. Emboldened by a growing number of stories like this, doctors are beginning to incorporate medical marijuana into their addiction treatments. In many places, where addiction has ravaged the population, many officials who might otherwise be against marijuana legalization are starting to consider it for this reason. Medical doctors and scientists say more research is imperative to gaining a greater understanding of the benefits and potential risks.